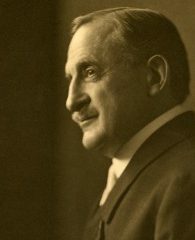 Charles E. Hires (1851-1937) was born in the Philadelphia area and raised in the Quaker faith. As a boy he worked in a local drugstore and by age sixteen moved to Philadelphia’s Center City to work in a pharmacy and attend classes at the College of Pharmacy. After opening his own pharmacy in his early adult years, Hires created a version of “root tea” that was popular among Native American tribes and some Europeans. In an effort to appeal to working class Philadelphians, Hires named his creation root beer and began marketing a powdered version. By the 1876 Centennial Exhibition he decided to market the beverage as “the temperance drink,” to distance the negative connotation of “beer” as the anti-alcohol movement was gaining steam. As a Quaker, Hires did not drink alcohol and instead preferred to tout the purported medicinal benefits of drinking root beer. Hires Root Beer became popular with Philadelphians after its appearance at the 1876 Centennial Exhibition. By 1926, roadside stands were popular locations to buy soft drinks, especially as the automobile grew in popularity and affordability. The stand, like the one seen here at Broad and Pattinson Streets in South Philadelphia, was not large enough to accommodate seating for customers. 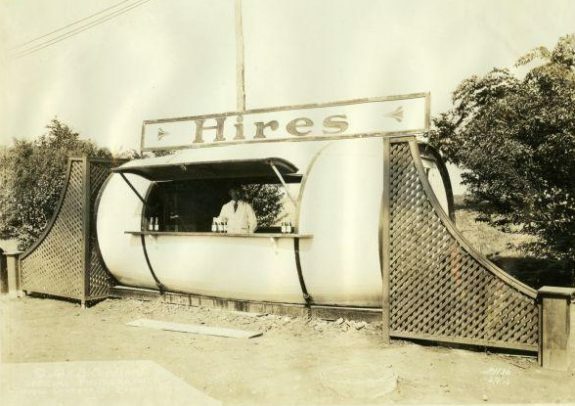 Instead, patrons walked, bicycled, or drove to the stand to purchase their beverages, which were kept cool with ice or a newly popular refrigerator. Hank’s Root Beer opened in 1995, around the time Hires was phased out of many stores in Canada and the United States. Hank’s is another Philadelphia-based beverage, founded by Bill Dunman, and based in Trevose, Pennsylvania, in neighboring Bucks County. Though Hank’s initial success is attributed to its popularity in the local restaurant trade, the original root beer and several other soda flavors were being sold, in the early twenty-first century, in almost every state. Root beer, a popular beverage in the United States since the late eighteenth century, began as a medicinal beverage produced at home. In the nineteenth century, carbonated root beer grew in popularity, particularly after Philadelphia pharmacist Charles Elmer Hires (1851-1937) presented his version of root beer at the 1876 Centennial Exhibition. Although the popularity of root beer decreased in the latter half of the twentieth century, Philadelphia continued to play a role in its resurgence. Root beer, and similar beverages such as spruce and ginger beer, originated from “root tea,” a general name for beverages popular in European and Native American cultures served hot and brewed from roots, barks, and berries. By the eighteenth century, “root beer,” which added yeast and later soda water for carbonation, had become a popular drink in the United States. To make these non-alcoholic beers, roots, barks, flowers, herbs, and other plants were boiled, the resulting liquid strained and reduced, and yeast, sweetener, and water added. As early as 1842, various manufacturers advertised root beer in Philadelphia newspapers as a health beverage, blood purifier, and cure for the “summer complaint,” cholera. Many of these companies, such as Dr. J. A. Brown in Philadelphia, distributed their finished products throughout the northeast. Others, such as Aschenbach & Miller, also located in Philadelphia, sold root beer extract to store owners, who produced their own. 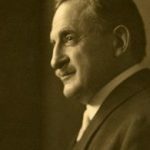 Charles Elmer Hires revolutionized the manufacture and distribution of root beer in the early 1870s, when he developed a powder to allow easier home production. Each packet of powder cost 25 cents and yielded five gallons. At the 1876 Centennial Exhibition, Hires served free glasses of root beer and sold the packets, a significant success that led to rapid growth for his business, including a factory at 117-119 Arch Street. In 1890, the business incorporated as The Charles E. Hires Company. In 1904, with the decline of home brewing and increasing popularity of soda fountains, the Hires Company developed root beer syrup and began to distribute it. At its height, the Hires Company had offices throughout the United States and internationally in countries including Australia, Denmark, and England, a subsidiary company in Canada, and a sugar plantation in Cuba. Much of Hires’ success was due to innovative advertising. Understanding the importance of building a strong brand, Hires became the first major advertiser and mass marketer in the beverage industry. Beginning in the 1880s, full-page Hires ads, unheard of at the time, appeared in newspapers and magazines across the country, as far away as Hawaii. The Hires Company produced trading cards featuring healthy, rosy-cheeked children consuming frothy mugs of root beer with information about health benefits and the company’s commitment to pure, natural ingredients on the reverse. The company placed the Hires Root Beer logo on booklets for children, trays, pocket mirrors, lamps, mugs, and other novelties. The story of how Charles E. Hires invented root beer became a feature in the company’s ads. Like the popular rags-to-riches stories by Horatio Alger Jr. (1832-99) in the same era, the ads portrayed Hires as a small-town boy who built an empire through his own ingenuity and determination, while maintaining his commitment to an authentic, honest product. 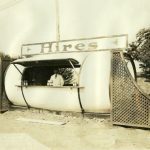 By the 1950s, the Hires Company was struggling as it faced increased competition from other root beer manufacturers such as Barq’s in New Orleans, Louisiana (1898); A&W in Lodi, California (1919); Independent Breweries Company in St. Louis, Missouri (1919); Dad’s Old-Fashioned in Chicago, Illinois (1937); and Mug in San Francisco, California (1947). The root beer industry also competed with more popular sodas and other confectionery, such as noncarbonated drinks, candy, gum, and ice cream. Despite steady and sometimes rising sales, the increased cost of materials and labor caused a decline in profit. The Hires family sold its majority share in the company in 1960 to Chicago-based Consolidated Foods Corp. (CFC). Later that year, Hires was liquidated and became the Charles E. Hires Division of CFC. Operations continued under local management, with a general office at 206 S. Twenty-Fourth Street and a bottling plant at 326 S. Twenty-Fifth Street in Philadelphia, and an additional seven plants and four hundred franchised bottlers in the United States and abroad. In 1962, Crush International Ltd. purchased CFC’s Hires Division and moved its headquarters to Evanston, Illinois. After several more sales of the brand, in 1989 the Hires brand was acquired by Cadbury Schweppes. In 2008, the beverage portion of Cadbury Schweppes separated to form the Dr Pepper Snapple Group, located in Plano, Texas, the current owner of the Hires Brand. By this time, the Dr Pepper Snapple Group had phased out Hires Root Beer to focus on promoting only one root beer, the more popular A&W brand. By 2016, Hires Root Beer was still listed on the Dr Pepper Snapple Group website as a current product, but it had become rare and difficult to find except online. Philadelphia played an immense role in the growth in popularity of root beer. Although the sale of root beer lagged behind colas and other sodas after the 1950s, it resurged among small, artisan brewers in the twenty-first century. With craft brewers such as Yards Brewing Company, Hank’s Gourmet Beverages, and Olde Philadelphia Soda Company, Philadelphia continued to play an integral role in root beer production. Theresa M. Altieri earned an M.A. in history from Villanova University and is a Certified Archivist, currently working as the Archivist at The Abraham Lincoln Foundation of The Union League of Philadelphia. Funderburg, Anne Cooper. Sundae Best: A History of Soda Fountains. Bowling Green, Ohio: Bowling Green State University Popular Press, 2002. Smith, Andrew F. Food and Drink in American History: A “Full Course” Encyclopedia. Santa Barbara, California: ABC-CLIO, LLC, 2013. Smith, Andrew F. Drinking History: Fifteen Turning Points in the Making of American Beverages. New York, New York: Columbia University Press, 2012. Hires Family Papers, Historical Society of Pennsylvania, 1300 Locust Street, Philadelphia. George D. McDowell Philadelphia Evening Bulletin News Clippings Collection, Temple University Urban Archives, Paley Library, 1210 Polett Walk, Philadelphia. Philadelphia Inquirer News Clippings Collection, Temple University Urban Archives, Paley Library, 1210 Polett Walk, Philadelphia. Site of Charles E. Hires’ pharmacy, where he first sold root beer, 602 Spruce Street, Philadelphia. Site of first Hires Root Beer factory, 117-119 Arch Street, Philadelphia. Site of the Hires Building, 210-212-214 N. Broad Street. Site of Hires offices and factory, vicinity of S. Twenty-Fourth Street and Oregon Avenue, Philadelphia. Site of Dr. Brown’s Root Beer Brewery, 386 Market Street, Philadelphia. Site of Aschenbach & Miller, 400 N. Third Street, Philadelphia. Thanks for this bit of root beer history, Theresa! It’s hard to believe that Hires is that old. The other convenience food that was introduced at the Centennial was Heinz ketchup, produced in our Pennsylvania sister city, Pittsburgh. I’ve really enjoyed the Encyclopedia’s recent essays on Philly food – cheesesteaks, hoagies, pretzels, scrapple and Tastykakes. I’m looking forward to more, like Fleer bubble gum, Sweezer’s spiced wafers, Breyer’s ice cream, Frank’s sodas, Good ‘n Plenty, Whitman’s chocolates and, of course, pepper-pot soup. Since I made myself hungry by talking about this, I think I may pour myself a root beer, nibble on a Tastykake and reread your essay, Theresa. Bon appetit! This leads one naturally to root beer floats (or perhaps that’s just me). Didn’t a Philadelphian create the first ice cream float? Perhaps we’ll find out more in part two. Great essay Theresa! of Greater Philadelphia <Liked it!